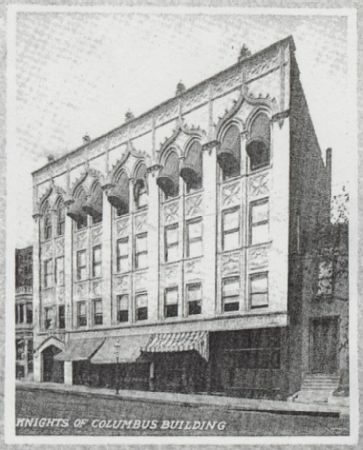 The Centene Center for the Arts began its life in the late 1880s as a dance studio. In 1906 additional frontage was deeded and in 1907 Archbishop John J. Glennon dedicated the building as the new home of the Knights of Columbus. The architectural masterpiece, designed by Baker and Knell, would become the showpiece for the Knights of Columbus for decades. In later years, the structure served as home to the International Machinists Union and the Medinah Temple. In 2003, the Arts and Education Council had a vision to create an arts accelerator, which would offer shared spaces for organizations and opportunities for collaboration at affordable, below-market rents. Working with Grand Center, the City of St. Louis, and Owen Development, the Arts and Education Council renovated the historic building using both public and private funds; including a lead gift from the Centene Charitable Foundation. Many of the original architectural features installed during the Knights of Columbus Hall time period were preserved — the beautiful gothic-style white glazed terra cotta façade, the corridors lined in Italian marble, the original tile and wooden floors, and the elaborate ironwork. The Centene Center for the Arts opened its doors in 2006 - after nearly 20 years without occupancy - returning to its original purpose as a home for the arts. Today, the building provides high quality administrative, rehearsal, collaborative, event, and exhibition spaces for tenants.